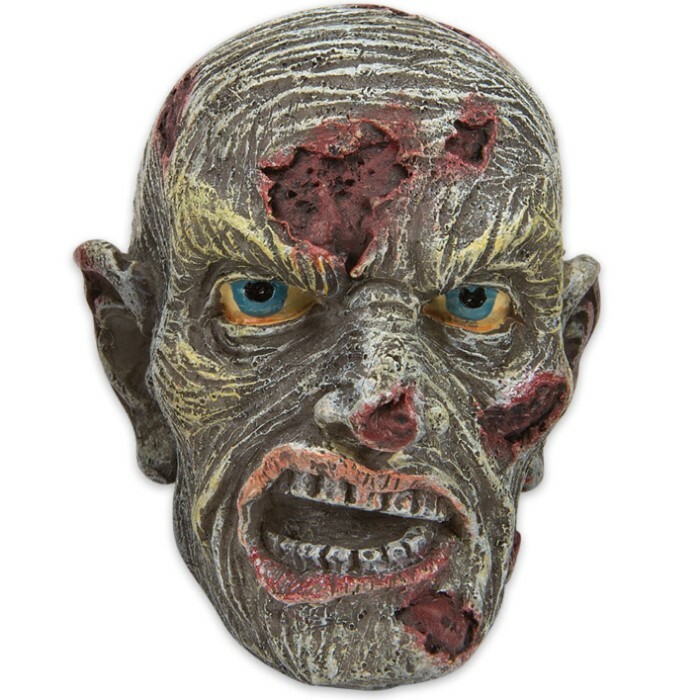 Zombie Heads Display | BUDK.com - Knives & Swords At The Lowest Prices! Want to keep a count of how many zombies you’ve taken out? 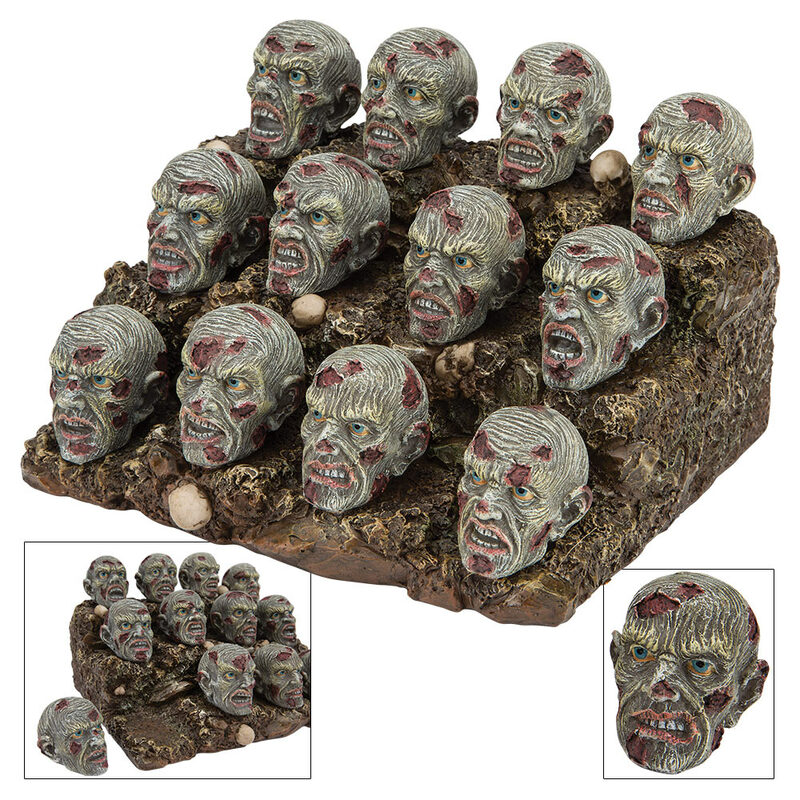 There’s no better way than our Zombie Heads Display! 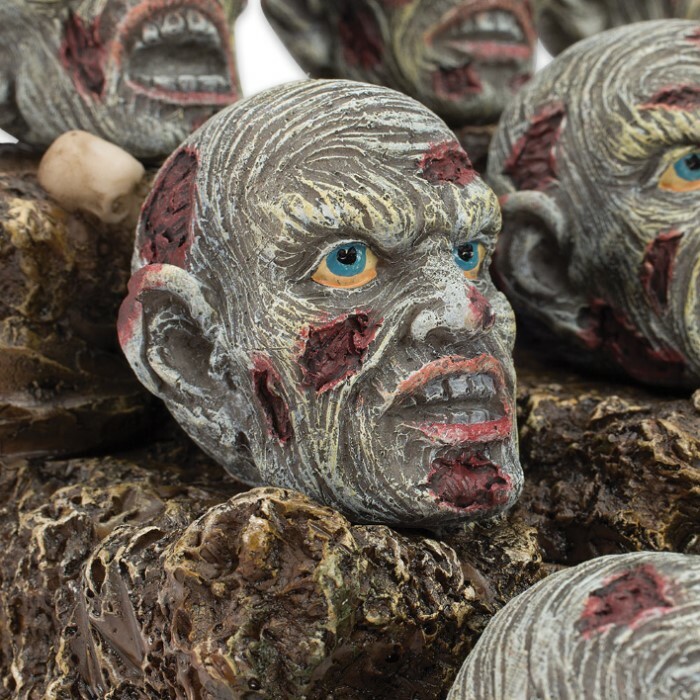 Each zombie head has been expertly sculpted in high-quality resin to have an individual expression and features bright blue eyes. The display base looks like real rock and has miniature skulls embedded throughout. There is a carved out space for each of the 12 zombie heads. This makes a great addition to your Halloween décor!